Ever since mankind could blend the beauty of leather in their everyday style, fashion and leather became inseparable. Today, the leather and leather products industry plays a prominent role in the world’s economy, with an estimated global trade value of approximately US$100 billion per year. From bags to wallets to wristwatches, leather goods have encircled our daily fashion in a spectacular way. A large part of the credit goes to the manufacturers who have taken this material and made beautiful accessories out of it. 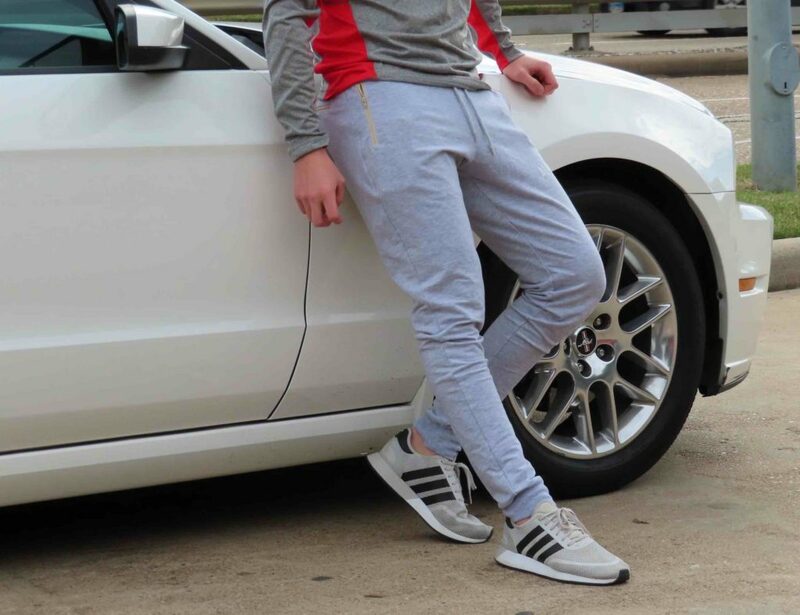 Things which can blend easily with your everyday lifestyle. One such accessory is your wallet which despite being an integral part of your style is often overlooked from the angle of fashion. They are mostly bulky or too slim to hold your cash and cards. What you need is a perfect blend of these two criteria that won’t have your bills overflowing from the wallet and not be bulky as well. 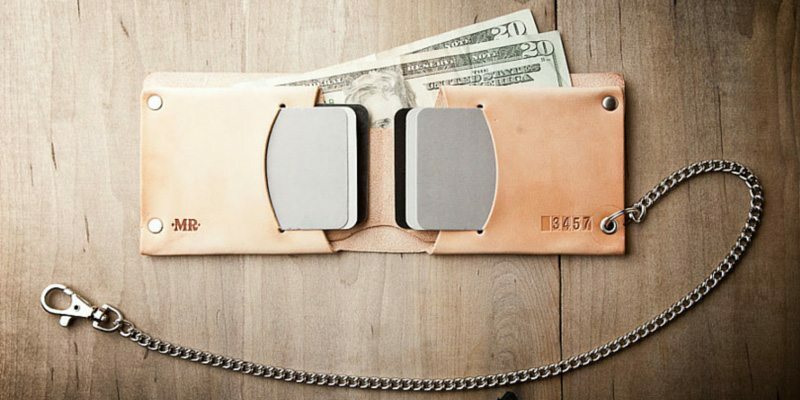 One “Modern cowboy of the creative revolution” named Mr. Lentz believes in creating such wallets with high-quality material and handcrafted precision. 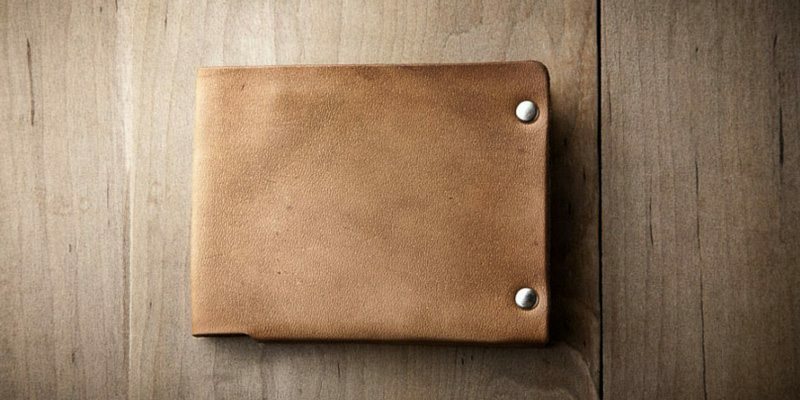 His focus is on highest grade vegetable tanned leather sourced from the top U.S. tannery that looks wonderful on your everyday accessories including wallets. Out of all his wonderful creations, our today’s feature is on the Minimal Leather Wallet which has been beautifully handcrafted keeping up to the traditional style standards. Stylish wallets are in abundance today. Some flaunt a money clip and card-holder, some are even trying to store your phones but the overall aspect common for all is in reducing the bulk from your pockets. The Minimal Leather Wallet is one such example which has brilliantly merged your card slots and bill holder in a slim profile you can easily carry in your pocket. 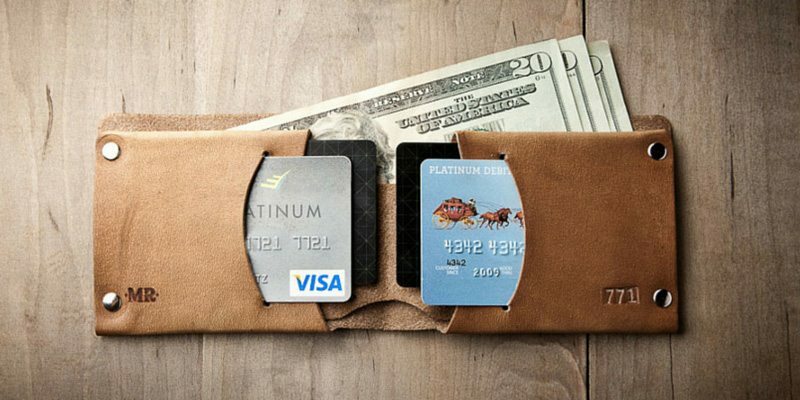 It consists of two standard card slots, two extra card pockets and a standard bill section. The overall profile of the wallet still remains slim which is what most men prefer to have instead of facing that bulge from the pocket. 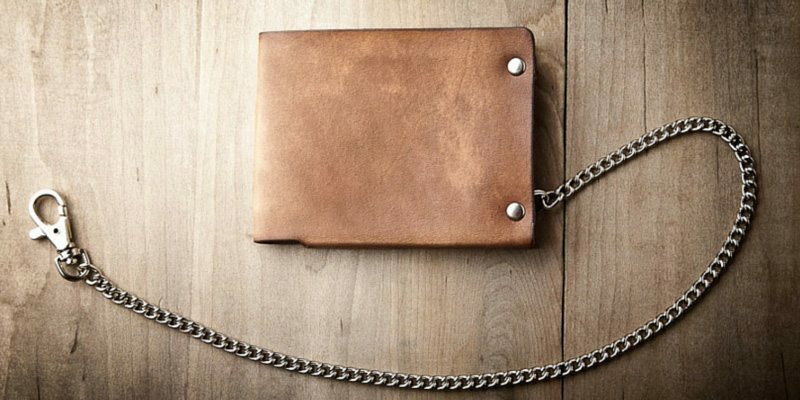 This is indeed a wallet made from the finest materials with the rivets being of solid brass having nickel plating. To complement the look, the detailed edge work and finishing is what you’ll admire too. 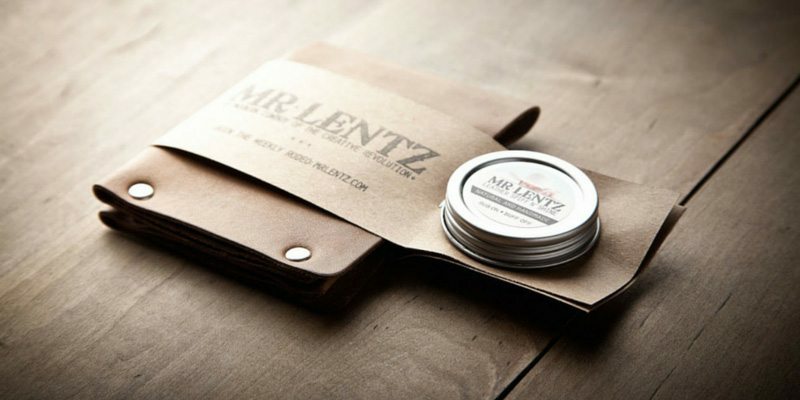 Mr.Lentz speciality is in the Spiff N’ Shine which is a conditioner meant to keep high quality leather goods in high quality shape. The leather sourced from the top U.S. tannery is far from being toxic. 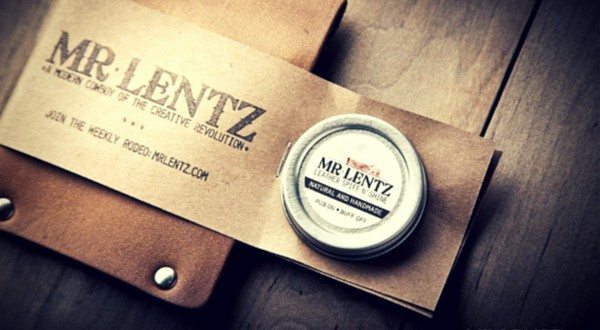 Every wallet is heat branded with the Mr. Lentz logo and also hand stamped with a unique sequential number. You can choose to pair it up with an 18 inch chain if wanted. 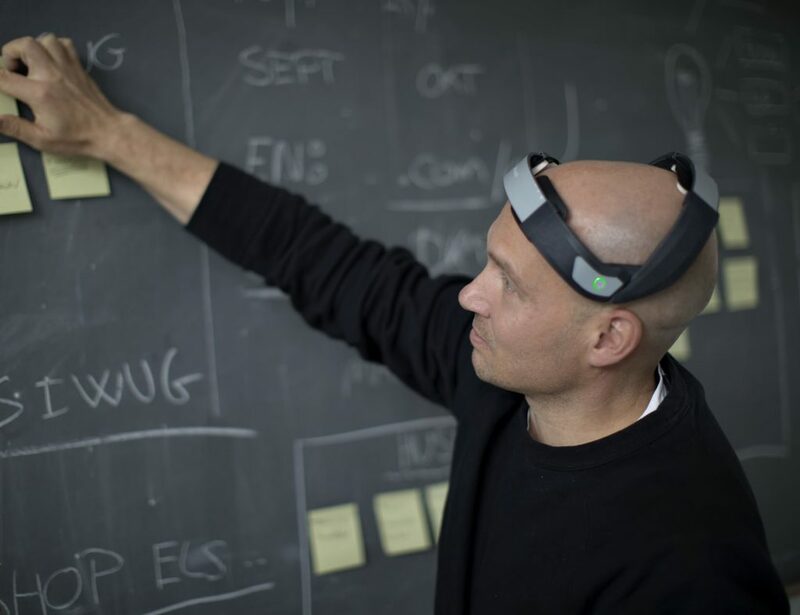 Apart from fitting credit cards, the wallet can fit Euro bills up to the 50 Euro note, and British bills up to the 20 Pound note. It’s undoubtedly a product for the debonair gentlemen of today and tomorrow. Custom Stamp or Brand Name Them Too! 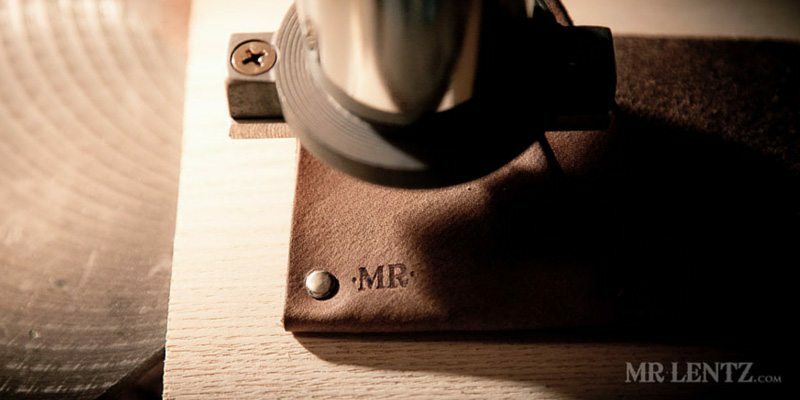 If required, you can also custom stamp or brand name or initials, or even a word on your wallet to make it have a more personal touch from your end. 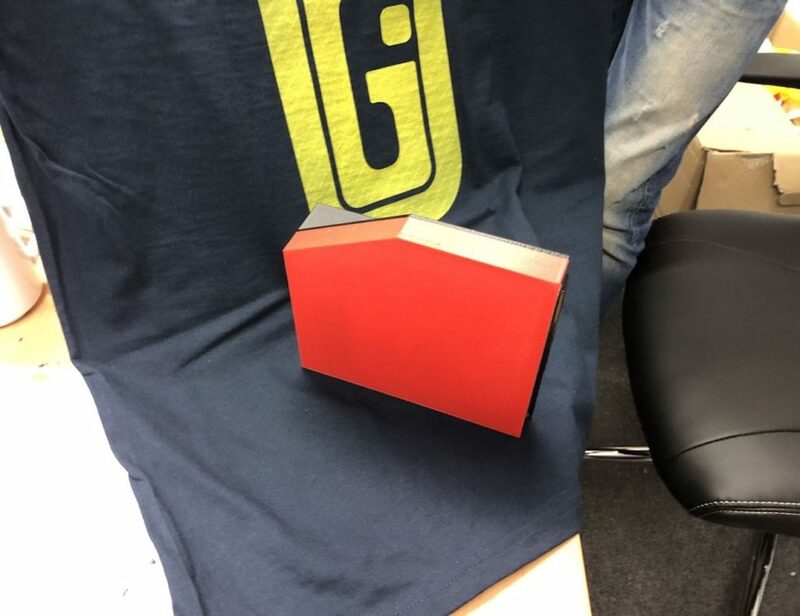 Especially if you’re giving it off as a gift, it would be great if you could custom stamp the initials of the person’s name thus making it look cooler that way. The wallet is available in three colors: Sun Tanned Natural, Western Brown and Desert Night Dark. To make it look even more gorgeous, each piece is hand conditioned with extra virgin olive oil, beeswax and carnauba wax. Starting from a price of $64, this could be a stunning gift for all your male buddies who prefer extra card slots this Christmas. Happy Gadgeting!